The most important lessons we can teach our children are those that happen outside the classroom. Learning to get along with people, to be kind, and caring. 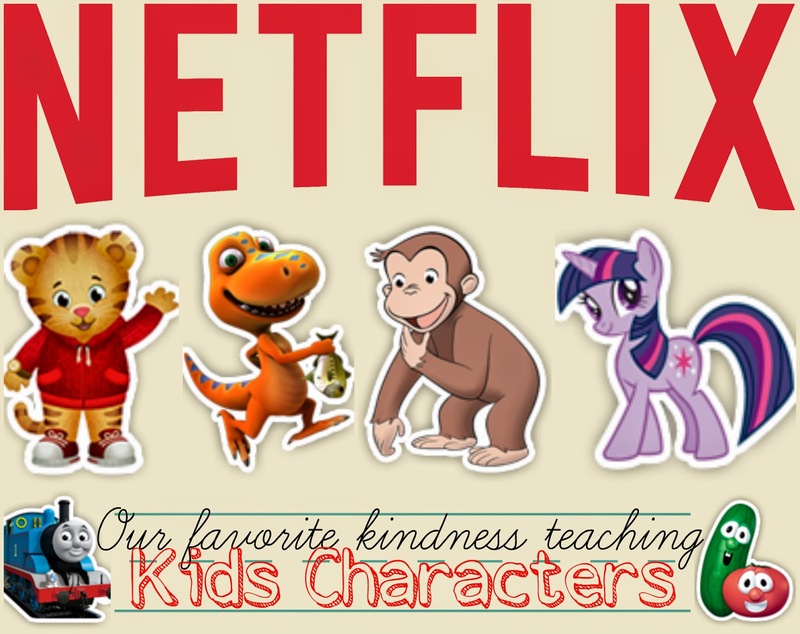 Lessons we incorporate into everyday life of course but one I also like to reinforce with the choice of shows my kids watch. Nothing ruins a show (and gurantees that I won't let them watch it again) than a whiny, rude or sass talking child. We're pretty classic PBS heavy, I know but they are only young once! So Sesame Street isn't on here because it's a given but also because my toddler is not interested in it at all. Daniel Tiger - I honestly didn't think this would be a good show but my girls love it and the lessons are classic Mister Rogers lessons are all present in new catchy tunes and stories. Dinosaur Train - Not only does it teach kids about dealing with the unexpected and things that are different, a Tyrannosaurus Rex being raised in a Pteranodon family? It teaches a lot about sibling relationships and comprise, something my kids need daily (hourly?) reminders of. Curious George - is the current favorite of the preschooler in the house but everyone loves the friendly monkey and the lessons that are taught and explored. My Little Pony: Friendship is Magic - My seven year old is so obsessed with this show that when season 2 was released on Netflix she cleaned the whole house from top to bottom to be able to watch the whole season. (Wonder where she gets her binging behavior from?). Everyone in the family (though the boys won't admit it) are entertained by this surprising show that teaches lessons of friendship and kindness in every episode. Of course we couldn't include this without our perennial favorites; Thomas and VeggieTales. I know Thomas gets a bad rep from some parents because of the engines behavior but in the end they always learn an important lesson. Personally I think the behave very much like toddlers and since my little boy is all about things that GO! Thomas is in heavy rotation at our house. So who are your favorite characters to teach a lesson? What are you and your kids watching these days? Tell me in the comments!